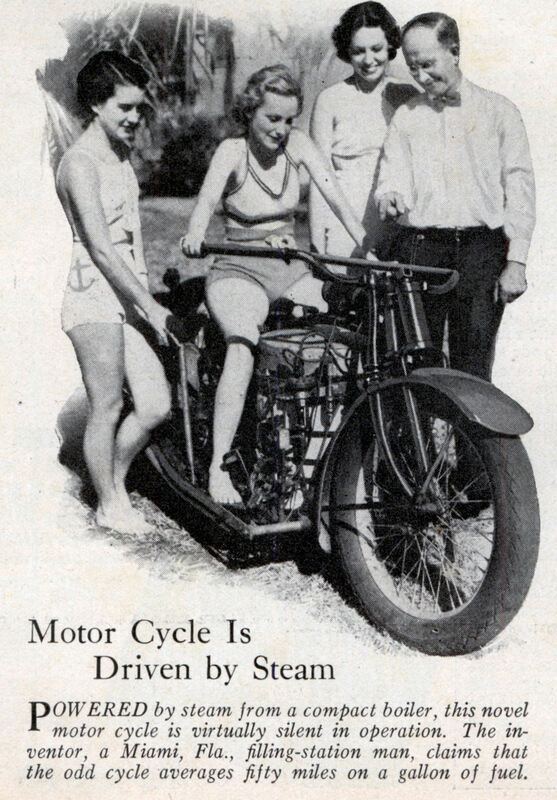 POWERED by steam from a compact boiler, this novel motor cycle is virtually silent in operation. 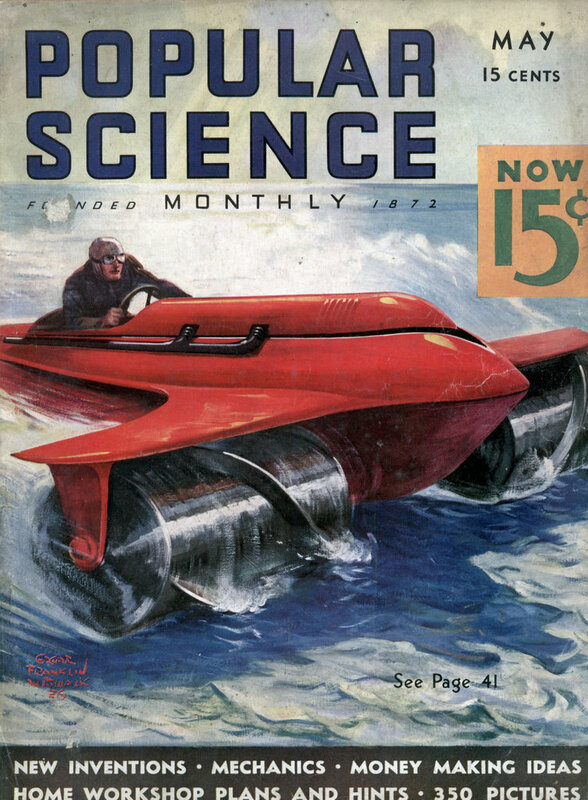 The inventor, a Miami, Fla., filling-station man, claims that the odd cycle averages fifty miles on a gallon of fuel. I don’t know what the milage was for a bike back them but by today’s standards 50 mpg is no big deal. And I don’t know about you but I sure wouldn’t want to have to face steam in an accident. Not to mention the fact that it looks like it weighs a ton. I Dunno, looks pretty cool. Where do u stick your poker? Even back then, Bikers get all the chicks.